The Staff and Management Committee are delighted to celebrate the 2016-2017 results. 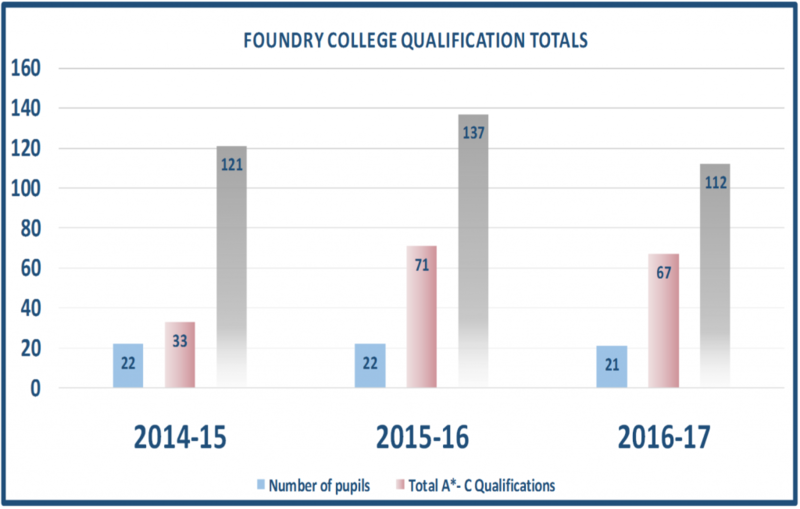 Foundry College is more than a school where teachers and staff give lessons. We see ourselves as an environment where pupils are able to learn for life. This allows our staff to support our pupils not only as highly qualified experts in their different subject areas, but also as personal, daily mentors. Our educational expertise, personal commitment and dedication to improving the life experiences of often vulnerable young people make significant contributions to fostering a culture of mutual respect and co-operation. However, our primary focus is to work hard with pupils to help them secure the best outcomes they can to give them a better chance of success in further education, training or employment. 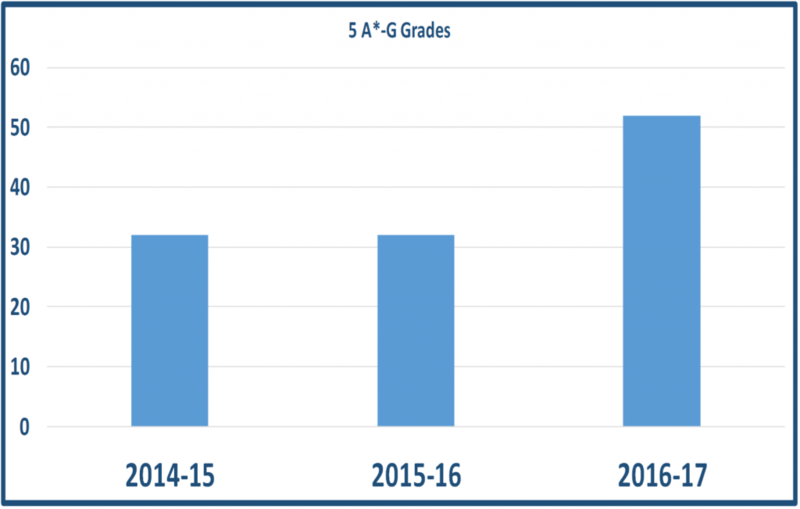 This year has seen a substantial increase in academic achievement at Year 11. 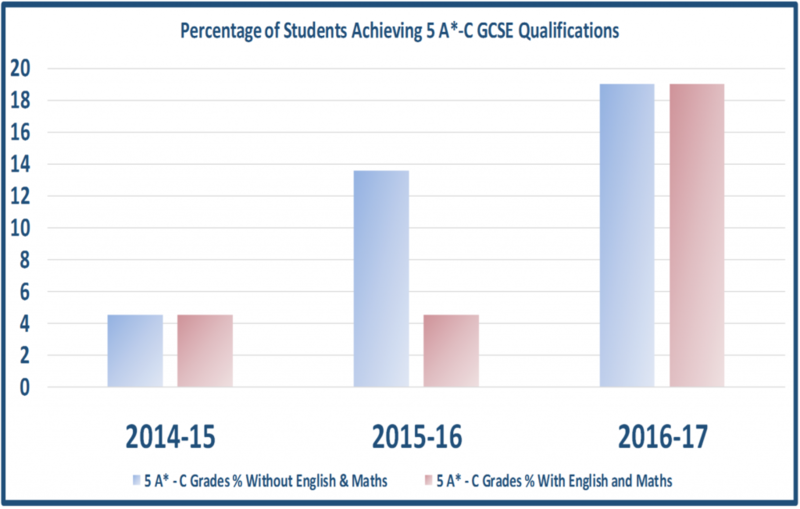 There has been great improvement in the number of pupils achieving 5 GCSE qualifications at A* – C Grades both with and without English and Maths. Alongside these fantastic results we have also seen a further increase with students achieving the highest amount of 5 GCSE’s at A* – G.
Thank you to everyone involved for the hard work and commitment put in to truly make a difference to change the lives of our young people.